Who wouldn’t like to be Dr. Meera Deshmukh? The girl who had it all – beauty, brain, a loving, rocking family and even a ‘maybe future husband’ Dr. Arjun Gokhale, who was Mr. Perfect in every way. Until one day when into Meera’s life walks a tall, handsome, dark stranger… Dheeraj – a businessman, son of a powerful political family in Pune, who is crazy about Meera but cannot marry her. Will Meera settle for a life-long friendship because of her fear of commitment and marriage or throw it all away chasing a powerful and impossible love? Explore their twisted tale of love and lust where dreams, ambition, duty and family come into conflict – in this modern family drama. Find out who the Good Stranger is – is it Arjun, Dheeraj, or Meera herself? Ultimately, discover the Good Stranger in your life as well. Siddhi Khankal, a girl from Bandra has spent all her life in Mumbai. She is a medical student pursuing Physiotherapy in Pune. She is an avid reader, loves painting and is a music lover. She loves watching sitcoms and Hollywood movies and, of course, loves writing in her free time. She never imagined being an Author, as she always wanted to be a Doctor. 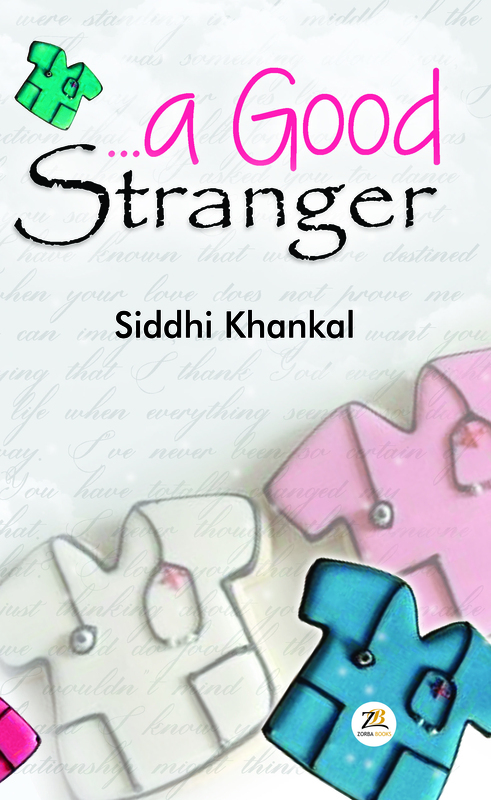 A Good Stranger is her debut novel. Marvellous start!I got engrossed while reading this book.A busy-steamy slow paced romance with the light-hearted comedy and family bonding. Thank you for your review Nidhi, do also put your review on FB. Thank you for your review Rashmi, do also put your review on FB.